Ein Yahav is a secular agricultural moshav in the Central Arava, an hour and a half from both Be’er Sheva and Eilat. It is the oldest and largest moshav in the area with 200 families, out of which approximately 150 are farmers, each with 50 dunam of land. 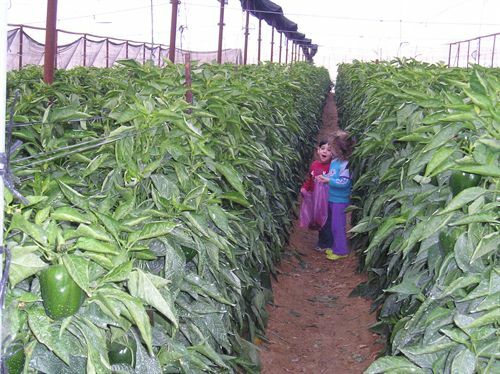 The moshav produces peppers, tomatoes, melons, eggplants, dates, and grapes – mainly for export. The other main industry in the Moshav is tourism; there are approximately 50 tsimmers. The moshav is currently in the process of expansion.